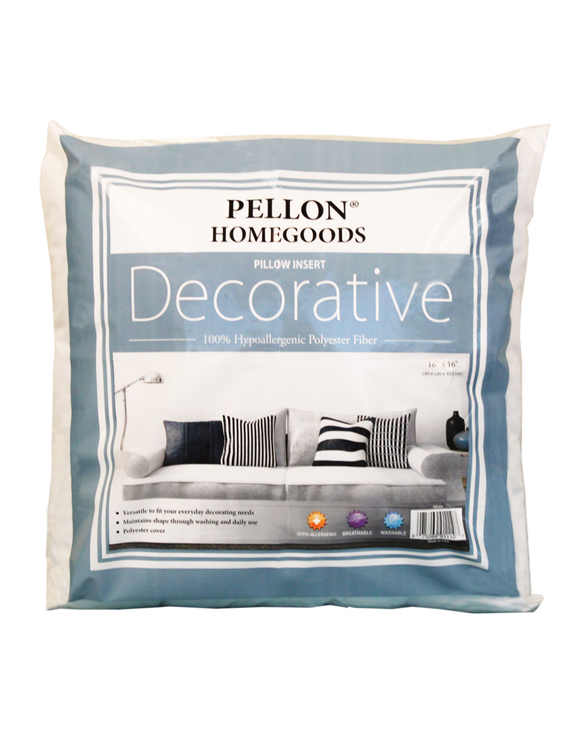 Pellon® Decorative Pillow Insert is made with 100% Hypoallergenic Polyester Fibers. It is an excellent insert for your favorite pillow covers, helping to change and enhance your home décor. It has a soft comfortable feel and will retain shape after extended use.